Charity payments company LibertyPay have partnered with marketing agency Earnest to launch Tap For Change. Tap For Change offers a standard service from £25 a month which they say is the quickest way to get started accepting contactless donations. The company also offers a bespoke box design service and a premium service with a full marketing campaign. Tap For Change are introducing an innovative scheme called Sponsor a Box which hopes to partner sponsors and charities. TAP TO GIVE™ has been registered as trademark by the GoodBox company who are working with the UK Cards Association and several charities to ensure the trademark will not be misused for non-fundraising purposes. To use the trademark fundraising companies need meet the criteria set out in the licensing agreement. The company produces a range of contactless devices including the GoodBox Mini, the GoodBox and the GoodBox Bucket (a hybrid contactless / cash box). Payments UK thinks cash payments will halve from 40% of all payments made in 2016 to 21% by 2026. Barclaycard believes that charities will miss out on an estimated £80m if they don’t take up contactless payments. JustGiving is trailing tap to donate charity collection buckets powered by PayPal Here card readers. For a selection of partners a special App is in development for use on a phone or tablet such as an iPad. 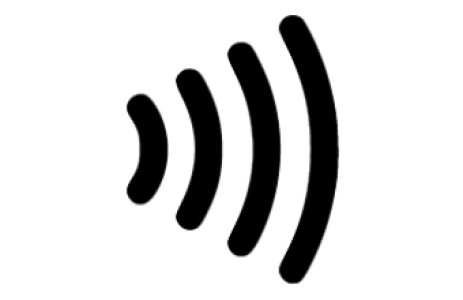 The initial goal of the project seems to be to open up the lucrative contactless payments markets to all charities. As well as debit cards it’s expected to that Apple Pay will be supported. This is no doubt exciting news for the thousands of charities already signed up for the JustGiving fundraising platform. The National Funding scheme launched a unique entry into the tap to donate market with their tap+DONATE™box. Any charity can register for the unit which can be customised with a logo. Units can be rented or purchased. The unit is powered by a rechargeable battery and can also be plugged in to mains power. It ships with a spare battery to adding an additional 6hrs. PayPal funded a range of contactless dog coats and donated PayPal Here card readers for each coats. Julia McKechnie-Burke, Director of Fundraising, Marketing and Communications at Blue Cross said: “Tap Dogs were created to raise awareness of our work helping thousands of pets every year. We were limited in the capacity of Tap Dogs as a fundraising tool with our prototype coats but now, thanks to PayPal, we are able to expand the scheme and have Tap Dogs at even more events.